They give me all kinds of medicine but nothing helps." 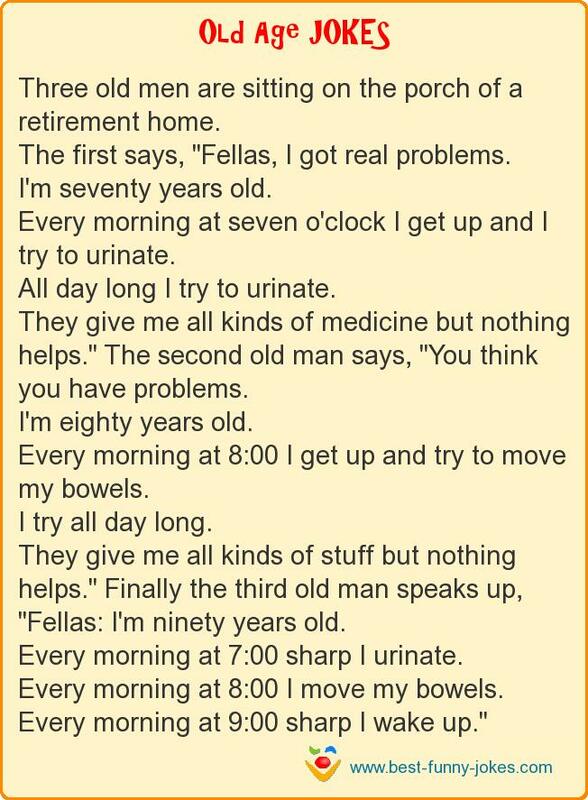 The second old man says, "You think you have problems. They give me all kinds of stuff but nothing helps." Finally the third old man speaks up, "Fellas: I'm ninety years old. Every morning at 9:00 sharp I wake up."